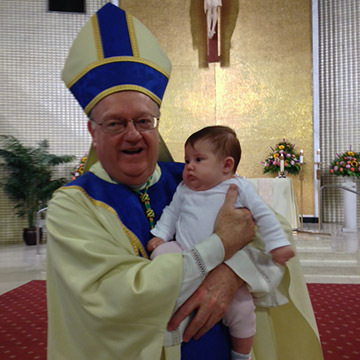 Bishop Dennis Sullivan holds Anya Tomasello in St. Joseph Church, Our Lady of Mt. Carmel Parish, Hammonton, on July 16, the feast of Our Lady of Mount Carmel. Anya’s father, Brian Tomasello, and grandfather, Anthony Tomasello, are members of the Our Lady of Mt. Carmel Society. 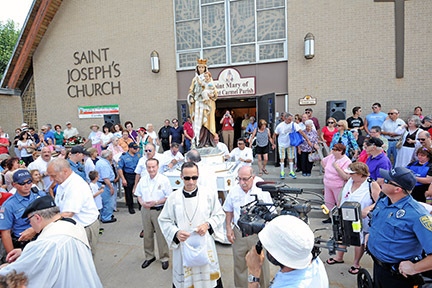 Father Joseph P. Capella leads the way as the statue of Our Lady of Mount Carmel is carried outside St. Joseph Church, Hammonton. 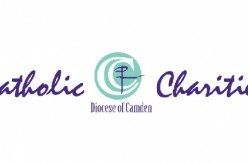 The 139th Our Lady of Mount Carmel Festival, sponsored by the Our Lady of Mount Carmel Society, took place on July 16. In addition to several statues of Mary, the procession included statues of the Sacred Heart of Jesus and Saints Joseph, John the Baptist, Ann, Jude, Lucy, Anthony the Abbot, Rocco, Anthony of Padua, Rita,Vincent Pallotti, Padre Pio, Martin de Porres and Lucy Filippini. For five days last week, thousands of Catholics in South Jersey gathered together to celebrate the feast of Our Lady of Mount Carmel, with Masses, novenas, a singing contest, a carnival, music, and a procession through the streets of Hammonton. The weeklong festivities remembered the appearance of the Blessed Virgin Mary to St. Simon Stock, a prior general of the Carmelite religious order, in the 13th century, and presenting him with a Brown Scapular. Organized by the Our Lady of Mount Carmel Society, the event is said by its members to be the longest-running Italian festival in the United States. For 139 years, members have given thanks to the Blessed Virgin Mary for Italian immigrants’ safe passage to Hammonton and a continued successful harvest. 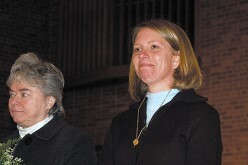 Many of its events were held at Our Lady of Mount Carmel Parish in Hammonton. 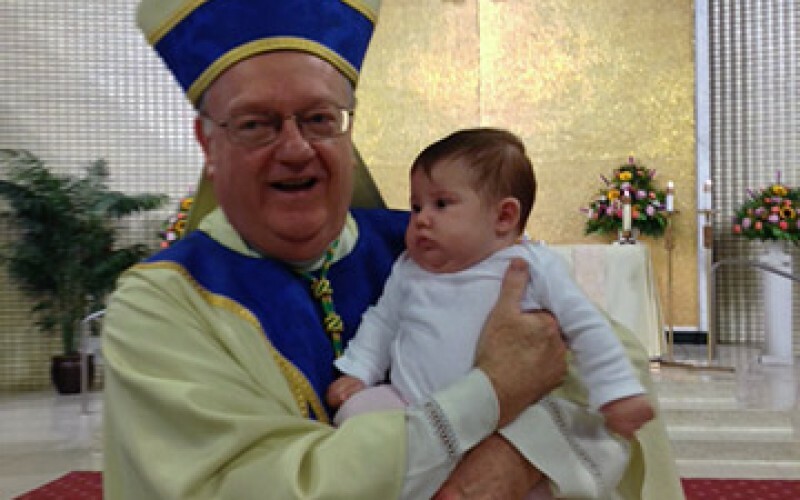 On July 16, the actual feast of Our Lady of Mount Carmel, Bishop Dennis Sullivan celebrated a morning Mass for the faithful at St. Joseph Church. That afternoon, a 2.5 mile procession, complete with a marching band, and the Parade of Saints, including Our Lady of Mount Carmel, St. Martin de Porres; and St. Anthony of Padua, began and concluded at the church.